The crew from Johnny Gohmer Proving Grounds recently got a Dodge Challenger SRT Demon to hit 211 mph and now they managed to get a 720S to their facility . 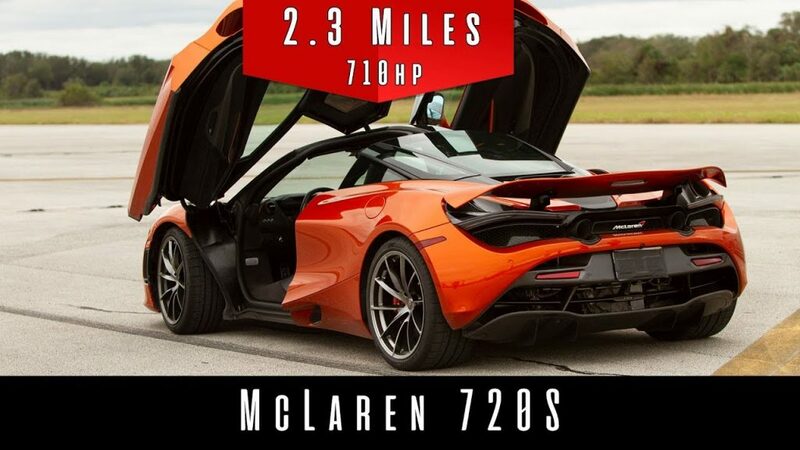 The McLaren 720S is beyond doubt one of the most exciting supercars to come out of Britain and it boasts of a top speed of 212 mph (341 km/h). Well it seems that claim was a little conservative as you will see in the video below that they got it to 215 mph (346 km/h). Ignore the speedometer of the car, as the numbers were tracked and drawn out of Olympic Grade laser traps and a Garmin GPS system. While it may not be a huge discrepancy from the company “lie”, it’s still great for owners to know that if they desire, the supercar can push things all the way till the needle hits 215 mph.